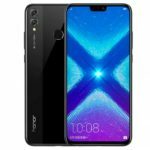 Home » Huawei » Huawei Honor 8X Max Advantages, Disadvantages, Review – Big Display !! Huawei Honor 8X Max mid-range smartphone launched into the market. So, check out Huawei Honor 8X Max advantages (Pros), disadvantages (Cons), problems and drawbacks/defects before purchasing. Currently, it is not available on online shopping sites like Flipkart, Amazon to buy. 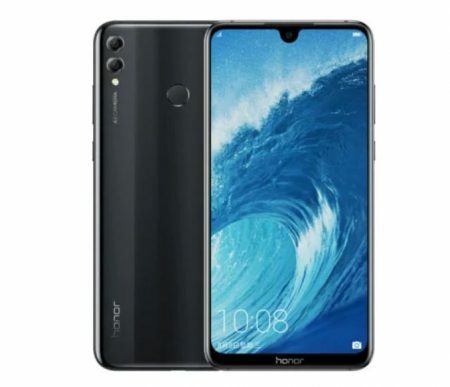 Huawei Honor 8X Max comes with latest Android OS, v8.1(Oreo). It offers 7.12-inch IPS LCD capacitive touchscreen with a good screen-to-body ratio of 83.4% and Multitouch in it with EMUI 8.2. Its display has good pixel density for its full HD resolution(~350 PPI) with 18:7:9 aspect ratio. The device is heavy to carry with 210g and 8.1 mm in thickness. Huawei Honor 8X Max has equipped with Qualcomm SDM636 Snapdragon 636 (14 nm) chipset and the performance is smooth with no lags. It encompasses with Octa-core processor and Adreno 509 GPU. So gaming performance is good. It offers Dual Camera 16 MP (f/2.0, PDAF) + 2 MP (f/2.4, depth sensor) rear camera with additional features like LED flash, HDR, panorama. It offers 8 MP front-facing camera with additional features like f/2.0, HDR. It has the battery capacity of 5000 mAh(Non-removable) which is good for heavy usage and supports Fast battery charging 9V/2A 18W. It is available in Black, Blue, Red colors to choose. Huawei Honor 8X Max supports additional features like Active noise cancellation with dedicated mic, Dolby Atmos sound. Very heavy to carry and you can’t use it with a single hand. Xiaomi Mi Max 3 smartphone comes with superb features & performance for its price. It excels in all the departments, but it is very heavy to carry. We suggest grabbing this mobile if you are looking for a big display mobile. Huawei Honor 8X Advantages, Disadvantages, Review - Good Features !! 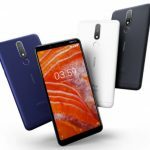 Nokia 3.1 Plus Advantages, Disadvantages, Review - Affordable ! !